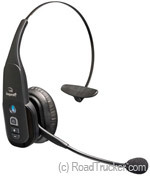 BlueParrott Headset has the Industry’s Best Guaranteed Noise Cancelling Bluetooth at up to 96% noise reduction. It features Xtreme Noise Suppression Technology that handles all the background noise so you can now communicate clearly in your truck. 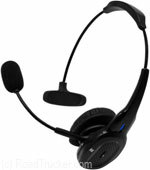 BlueParrott Headsets are also comfortable to wear all day. Is it any wonder, that BlueParrot dominates the Trucking industry when it comes to clear Bluetooth communication? RoadKing Bluetooth Cellular Headsets empower your mobile lifestyle with innovative, stylish, and quality electronics and accessories that are convenient and lightweight to use. Top features such as Noise Canceling and Easy-Access controls make RoadKing Wireless headsets more reliable than ordinary ones. While you are on the road, it is always a best practice to communicate hands-free. It is safer, wiser, and you can focus more on the task at hand. 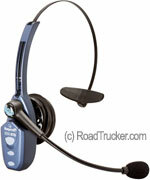 RoadKing headsets are also perfect for home or office. These also work for hearing-aid users. Connect, Listen, and Live with RoadKing. 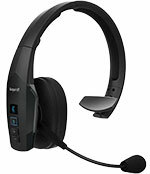 The BlueParrott® B250-XTS features the industry’s best noise-canceling technology. You can stream audio from Bluetooth-enabled devices and talk for 20+ hours. The even better BlueParrott. The B450-XT gives you more clarity, comfort and convenience. A considerably longer (up to 300-foot) wireless range. RKING920 features a noise canceling technology which reduces ambient noise levels and improves the listening experience. It also features a bluetooth wireless technology which enables to pair any bluetooth enabled device with an operating range of 33-foot. The RKING930 noise canceling bluetooth headset features an advance noice cancelling technology, bluetooth 4.0 wireless technology and a 25 hours talk time. 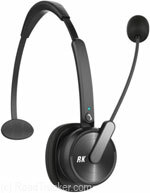 With bluetooth 4.1 wireless technology RoadKing premium noise canceling bluetooth headset can pair to any bluetooth enabled device with an operating range of 66-foot. It also features a superior noise canceling technology which reduces ambient noise levels to improve listening experience. 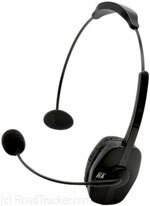 The RKING950 bluetooth headset features an improved listening experience with its superior noise canceling technology. 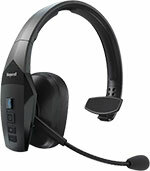 Up to 40 hours of talk time with 66-foot operating wireless range. Ultra soft, large, protein leather earpads w/ memory foam provides all day comfort. Equip with bluetooth technology, these stylish earbuds with an ear guard can pair compatible devices easily. It also features a multi function buttons, can switch between music or hands free talking and a recharge capability.